Great blog post as usual Ryan. 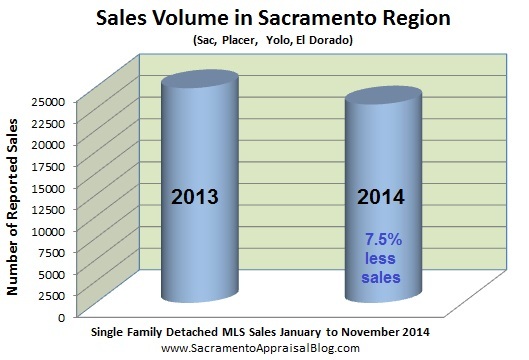 After you spent time analyzing the dip in prices in the fall for Sacramento (in this an other blog posts), I decided to look at the same for my market area. Very interesting stuff. Thanks for opening minds. Thanks so much Gary. That’s very cool. I think I saw the post. Nice job! I just didn’t comment in light of crazy deadlines. I like how you brought in the Case Shiller index too. I sometimes use the Freddie Mac Price Index when doing retrospective appraisals. It can be helpful to see the market from say 1989 or 1996 (my most recent older retros) from many different sources. Can’t wait to hear more about Portland trends. Keep up the great work. Great graphs Ryan. I’m sure these will provide many talking points for people in your market. Thanks Tom. That’s the goal. When we can see the market, it sure does help.